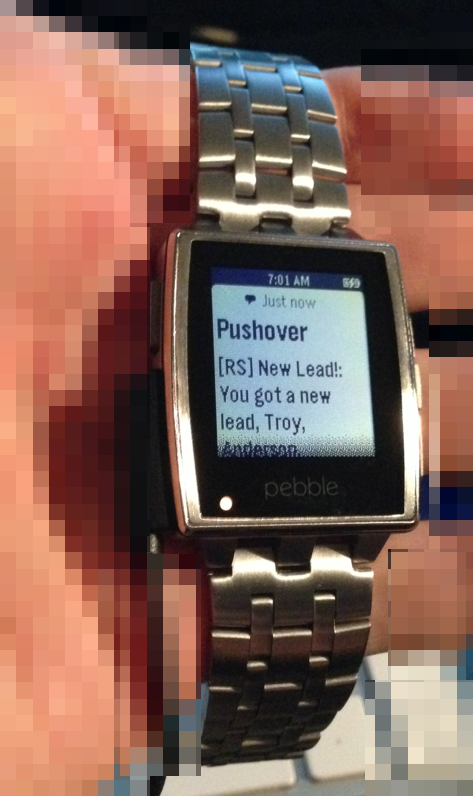 Pushover is a tool that allows us to push notifications to computers/phones/tablets/watches so you can stay very connected to your business. Now you need to add your devices! 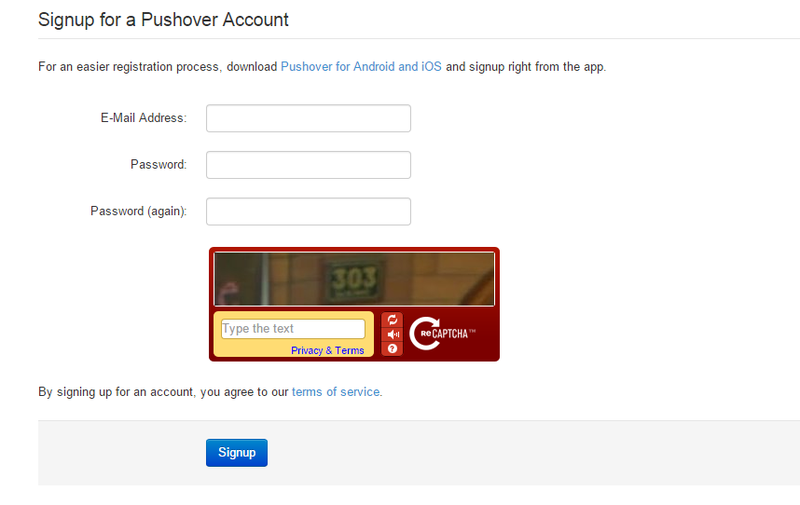 Download the Pushover app to your computer or mobile device (you can do this easily from the Android Play Store, for example). 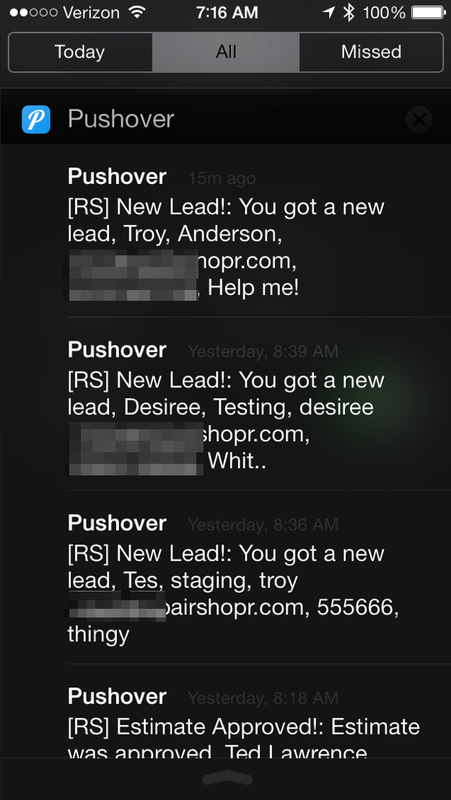 If you want each of your techs to have their own Pushover notifications, you can set them up with their own Pushover accounts, and create 1 notification center rule set for each tech. Paste their unique user keys in the above box for each tech. 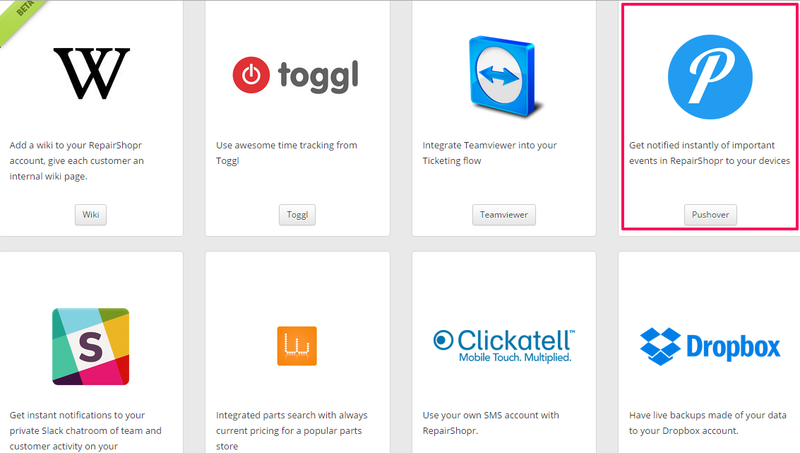 You can also have all techs listed under the same user key. 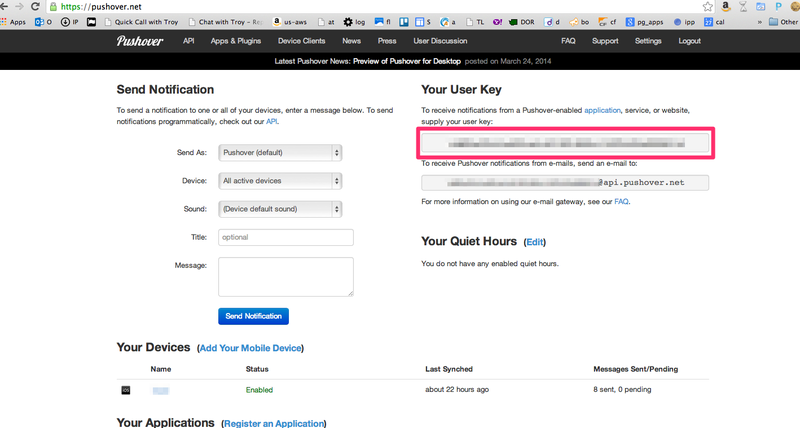 Just have each tech download and install the Pushover app onto their devices, and then paste the user key into each notification set. 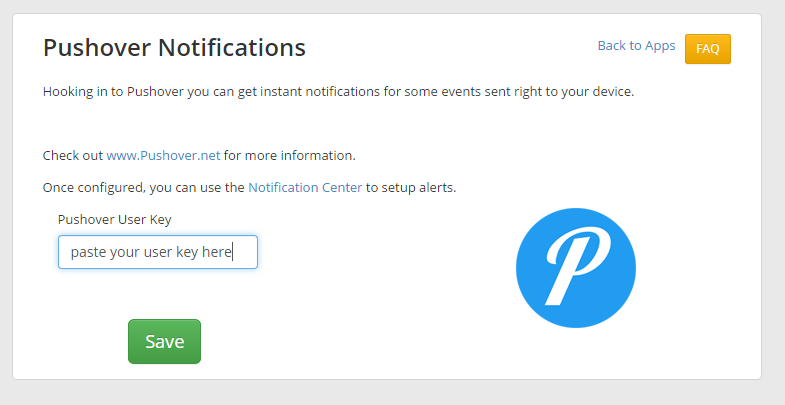 Make sure to create one notification set per tech, though! 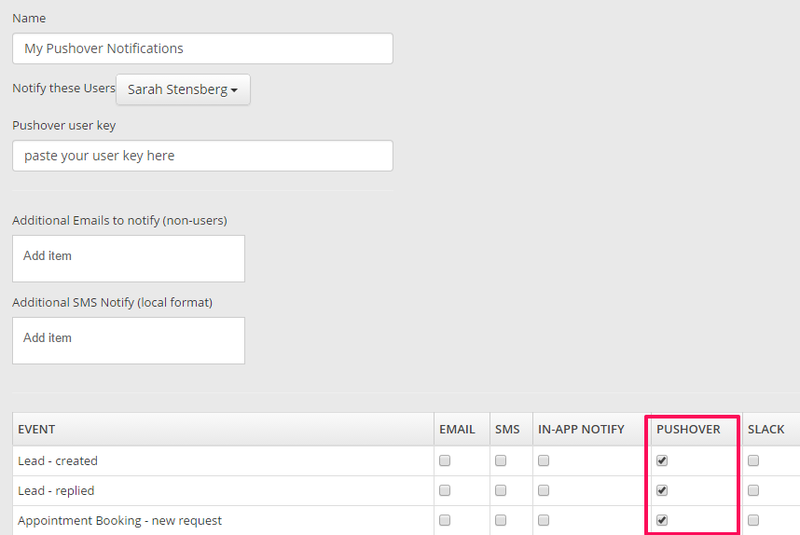 Otherwise you might get duplicate notifications. You can also get notifications on your Pebble watch by going into the settings on the Pushover app (on your mobile device) and checking the box labeled, 'Display notifications on Pepple'.